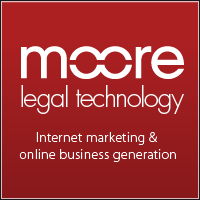 Below are ten of last week’s best employment law blogs and news posts from around the web. 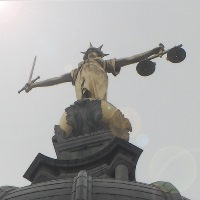 If you have published or found a useful employment law-related post that isn’t mentioned, please do add a link to the comments section below. PJH Law takes a look at the EAT case of Johnson Controls Ltd v Mr Campbell/United Kingdom Atomic Energy Authority and the question of when is there a service provision change within the meaning of the TUPE Regs. Ochre Human Resource Management considers some of the most important employment law changes occurring during 2012. XpertHR takes a look at HR practice and gender diversity, asking if candidates are automatically placed at a disadvantage. Contact Law discusses the government’s Call for Evidence on its proposed reforms to employment law. Commentary from the Law Gazette on the news that trainees would be classed as apprentices within the national minimum wage regulations. JMW Law discuss the case of Samsung Electronics (UK) Ltd v Monte-D’Cruz  UKEAT 0039/11, where the Claimant’s role was placed at risk of redundancy following the combination of 4 roles into a single position. Peninsula asks how exactly the Chancellor’s intentions back-up claims that the budget will “reward work” and “unashamedly back businesses” and looks at what this means for HR professionals and for SMEs. Lawrence Graham’s blog post on the implications of the Budget 2012 on employers. Blog post from Simpson & Marwick on two recent conflicting EAT decisions regarding discrimination on the ground of marital status. Blog post from commercial law firm Berg on employment law in the UK and the Olympics. People Management Magazine Online looks at a recent Court of Appeal judgment where it was held that discrimination by an employer can be justified solely on the grounds of cost. Stephen Scown discusses employment tribunal reforms in 2012. Discussion from 11kbw on the recent decision in Force India F1 Team -v- 1 Malaysia F1 Team  EWHC 616 and the availability of negotiating damages in breach of confidence cases. Yahoo reports that dressing in an orange shirt seems to be enough to get fired (for 14 employees) at a certain Florida law firm. An employment law expert in HR Magazine looks at the Budget and notes that the lack of content regarding employment law is ‘not too serious’. A look at employment law in Italy. Bloomberg reports that Prime Minister Mario Monti’s Cabinet recently approved a bill to overhaul Italy’s labour laws that will ease rules on firing employees. 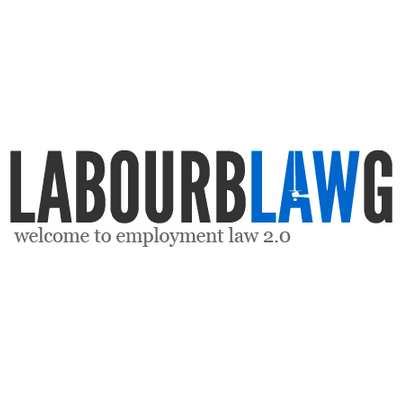 A look at employment law in South Africa, with proposal submitted to guard against all forms of child labour. Burness looks at the recent Woodcock decision, where the Court of Appeal considered whether cost saving can be a legitimate aim in justifying age discrimination. The Employment Law Liverpool blog reports on the Government’s acceptance of the independent Low Pay Commission’s recommendations for this year’s National Minimum Wage rates. The Root reports that sixteen black and Hispanic Coca-Cola workers have filed a lawsuit against the Coca Cola in respect of working in a racist environment. John Longworth, Director General of the British Chambers of Commerce (BCC), has recently commented on proposals to launch a consultation on no fault dismissal rules. Boyes Turner consider recent employment tribunal statistics, noting that employers must still act with caution. Last but certainly not least, Michael Scutt reports on the HR Professionals Survey, published by RTS Media in conjunction with Daniel Barnett last week, where 1460 HR subscribers of Daniel’s employment update service were questioned about employment law.